Bioethics Excursion to Israel in March 2018. Prerequisites: Enrollment in the course "Bioethik in der Medizin"
For information regarding scholarship opportunities, please contact AIANI. For all students that are interested in taking a course in Israel Studies: Noam Zadoff, Professor for Jewish Studies and History at the Indiana University Bloomington, USA, will teach the lecture "The History of Israel in (Auto)-Biographies" at the University of Innsbruck in the summer semester of 2019. In cooperation with the Holon Institute of Technology (HIT) and several departments at the University of Innsbruck, AIANI organized an interdisciplinary course project and workshop/hackathon for students, entitled “Enabling Music”. 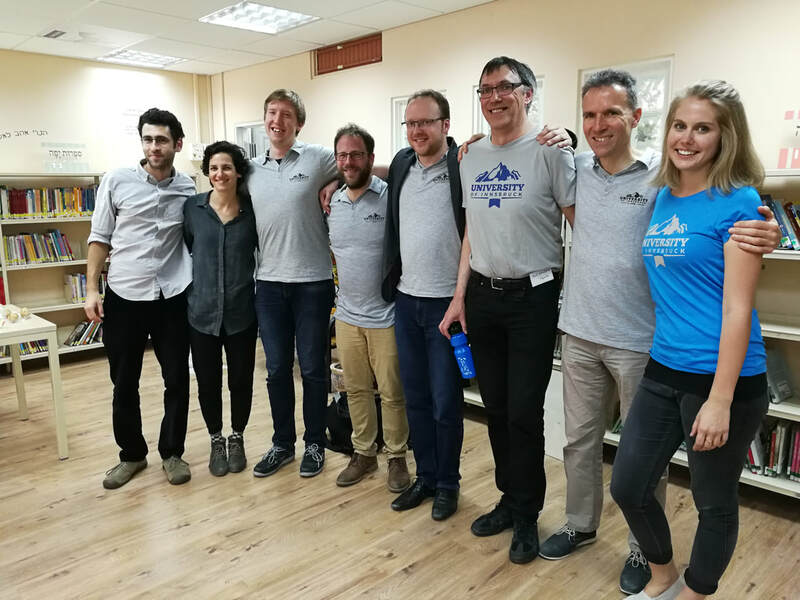 The workshop took place at HIT in Israel in March 2018 and aimed at developing interactive music instruments for children with motor impairments. Five prototypes were developed within four days by joined Austrian-Israeli interdisciplinary teams. The next joined Hackathon is planned for June 2019 in Innsbruck. This should become a regular event between the two partner institutions.